William B. Eerdmans Publishing Company, 9780802874474, 215pp. In Love Let Go readers witness how a church community was transformed by the startling truth that money can buy happiness--when we give it away. Laura Sumner Truax and Amalya Campbell show how this radical generosity shaped their community, exploring the reverberating impact of each act of generosity, and ultimately revealing how LaSalle's faith-filled risk snowballed into a movement beyond itself. 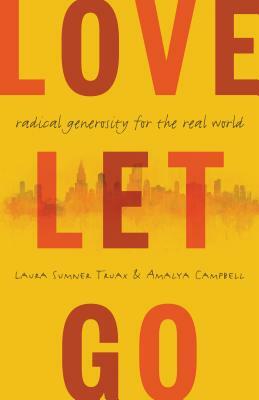 Throughout the book Truax and Campbell probe the connection of human flourishing to generosity and offer tools to help us reclaim our giver identities and live generously--to love and let go. Laura Sumner Truax is senior pastor at LaSalle Street Church in downtown Chicago, a teaching pastor at the University of Chicago, and the author of Undone: When Coming Apart Puts You Back Together. She frequently speaks around the country on the topics of faith and justice--and generosity.Amalya Campbell is a marketing consultant in Wilmette, Illinois, with an MBA from Harvard Business School. She has led stewardship classes at LaSalle Street Church for more than a dozen years.